Norma Jeane Mortenson is possibly one of the most iconic and famous woman of all time. You might recognize her more by her stage name, though: Marilyn Monroe. Even 56 years after her death, this incredible woman is still a household name that everyone knows. While the mysteries and conspiracies behind her passing remain in place, theres one thing for certain: she was taken too soon – the 36 year old was at the height of her career and was a beloved Hollywood star. We may never know exactly what happened to Marilyn Monroe, but we can remember her for the sensational actress, model, and singer that she was. From her successful film career to her three marriages to her controversial love affairs, she certainly left a lasting legacy behind. 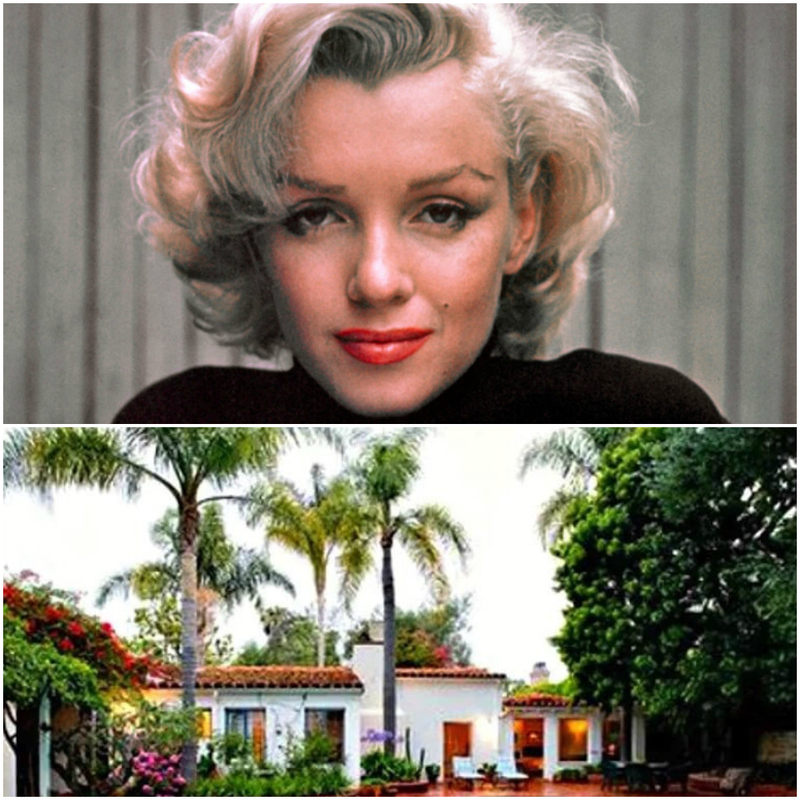 Another thing Monroe left for us is her beautiful Los Angeles home. We are sure that you’re just as curious as we are to see what the place looked like and thankfully this is possible. 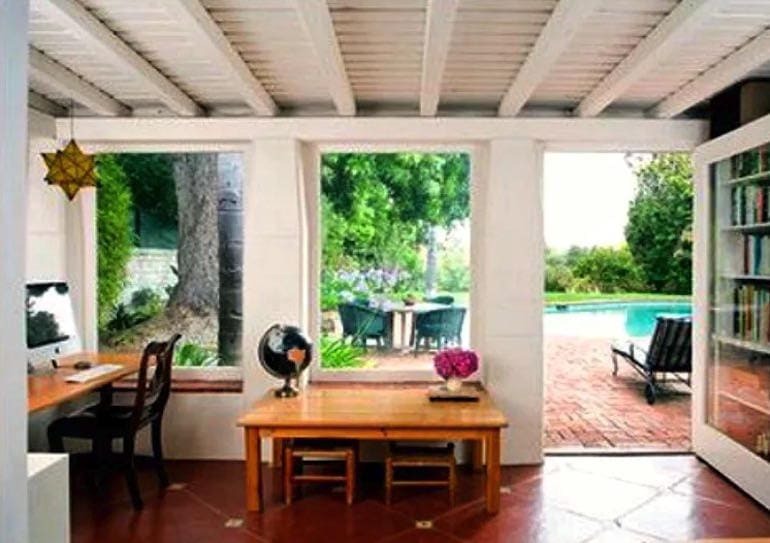 You may be surprised to see what the home looks like, or maybe it is exactly the type of place you’d expect a charming actress like Marilyn Monroe to live in. In a way, the house is so exquisite, we almost forget that it is in fact the place where the actress was found after her death. Whether it’s because of this, or simply because she lived there at all, the price of the hacienda-style home has skyrocketed. Anxious to know if one of the biggest stars of the ’50s lived modestly or luxuriously? Let’s take a tour through the home in question and find out. In her 36 years, Marilyn Monroe lived in 43 different homes. The last house she resided in, however, was the only one she purchased on her own. She allegedly chose to buy the house after her psychiatrist suggested putting down roots and trying to get some stability in her life. Located in the glamours Brentwood neighborhood of L.A., Monroe lived in this house during the last six months of her life. She may have appeared all smiles and fun, but throughout her troubled life, she never had a stable home. From early on, Monroe’s life was a struggle. From a mentally ill mother to abusive foster homes to living in an orphanage to switching schools nine times, she did not have it easy as a young girl. When she was only 16, she got married for the first time to a neighbor of one of her foster families. He was a WWII soldier named James Dougherty and the marriage resulted in a divorce four years later. 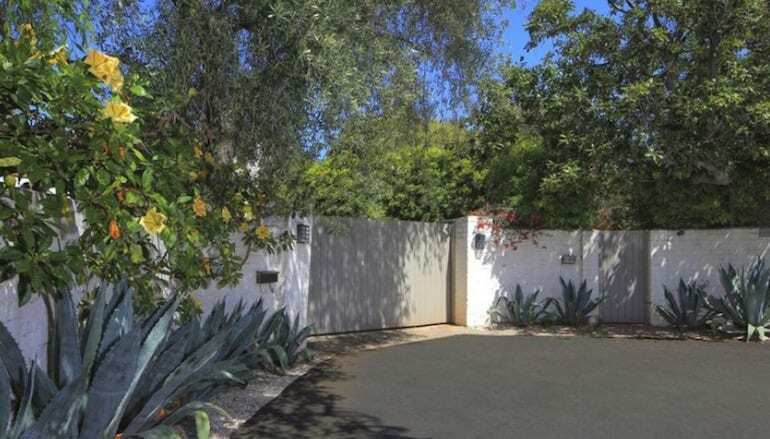 Yes, Monroe had lived with Joe DiMaggio and Arthur Miller, two of her ex-husbands, but this L.A. home was the first one she purchased alone, without a husband. The 1929 hacienda-style house hides behind towering gates within a peaceful cul de sac and boasts over half an acre full of trees. Aside from four bedrooms and three bathrooms, the home also has a pool, a citrus grove, and a vast yard. 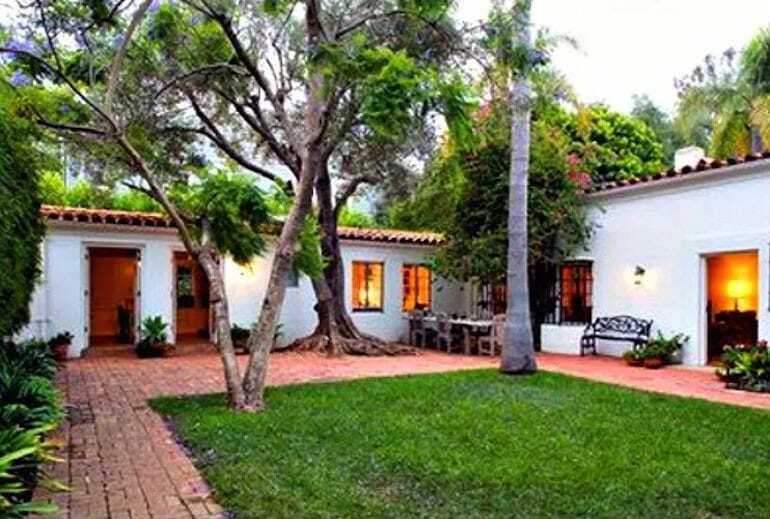 The actress considered the “casa” to be her own little fortress where she can hide out. The mansion’s address is 12305 5th Helena Drive and has changed owners a few times after Monroe lived there. It has also undergone a few renovations and changes. 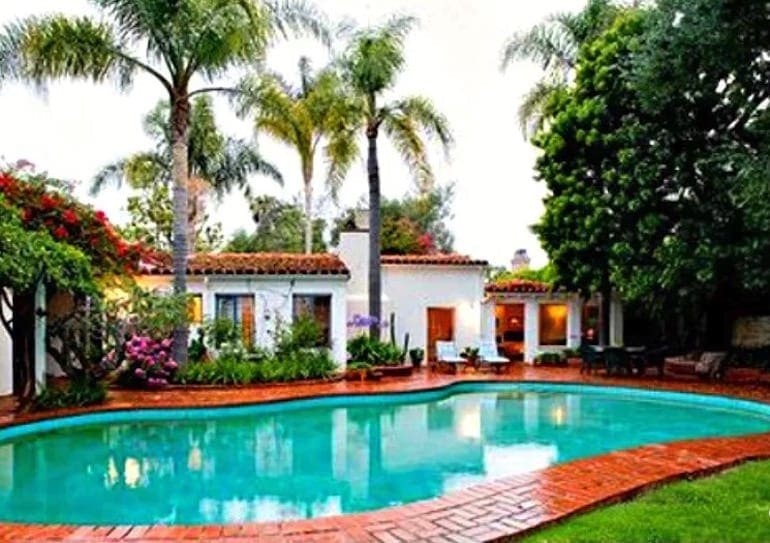 When she owned it, the L-shaped Spanish Colonial Revival had a red tiled roof and adobe walls, along with only two bedrooms as opposed to the current four. There was also a small guesthouse. Monroe went to cities like Tijuana and Mexico City to decorate, purchasing things like masks and mirrors. 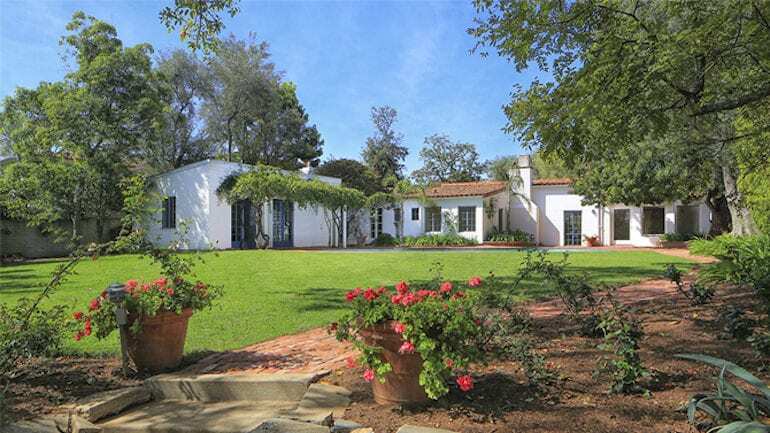 Marilyn bought the Brentwood home in 1961, and she lived there with her longtime housekeeper Eunice Murray. After Monroe, there have been a few other residents in the house, most notably Veronica Hamel (Hill Street Blues) and director Michael Ritchie. Though the exact amount the actress paid is unknown to this day – somewhere between $67,000 and $90,000 – it did resell for $7.25 million in 2017 when it was on the market for only $6.9 million. As you enter the property, you can see that the home very much keeps up with the style of the Spanish hacienda look with the red tiles that lay on a flat roof. The house is L-shaped and there’s a lovely patio in the entryway. There’s a small sitting area on a brick pathway and a small grassy lawn area. 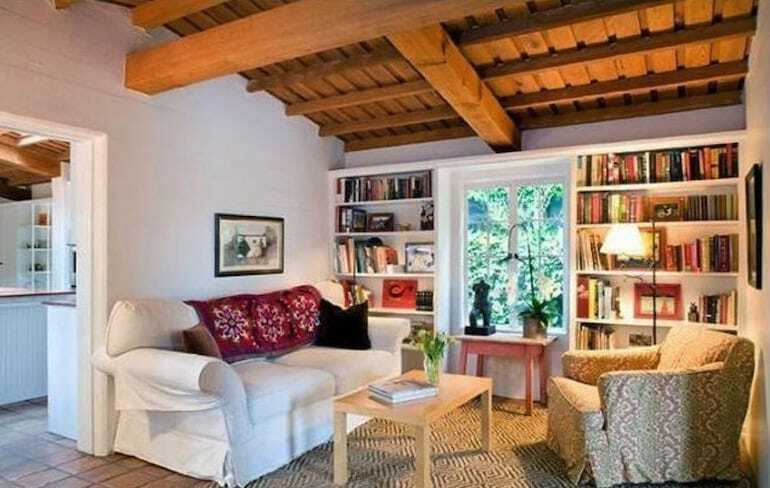 Though some changes have been made, the style still stays true to the way it was when Marilyn Monroe lived there. The bean-shaped pool was a popular choice for swimming pools in the ’60s and as Monroe was quite the trendy woman, she always kept up with the latest fads. The backyard of her home is graced with a freeform in-ground pool and she was often seen lying out by the pool soaking up some sun and enjoying some relaxation. Like the rest of the house, the water hole was surrounded by the same red bricks that served as a narrow pool deck. It wasn’t just the house itself that was so impressive about the area in which Monroe spent her final days. The yard boasted a beautifully landscaped garden and many picture-worthy trees. There were colorful flowers and fruit trees surrounding the patio and the rest of the home. With so much nature around, there appeared to be more green than any other color, with multiple grassy lawns and many bright plants of various types. With lounge chairs around the pool, one could simply lie there lost in though for hours. 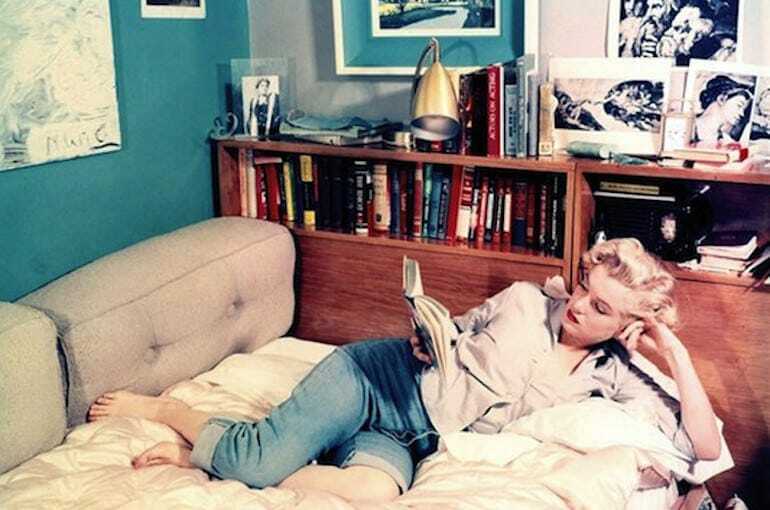 One might expect an extravagant and lush bedroom for such a successful Hollywood star, but Marilyn Monroe proved she didn’t need that with her quaint sleeping quarters. 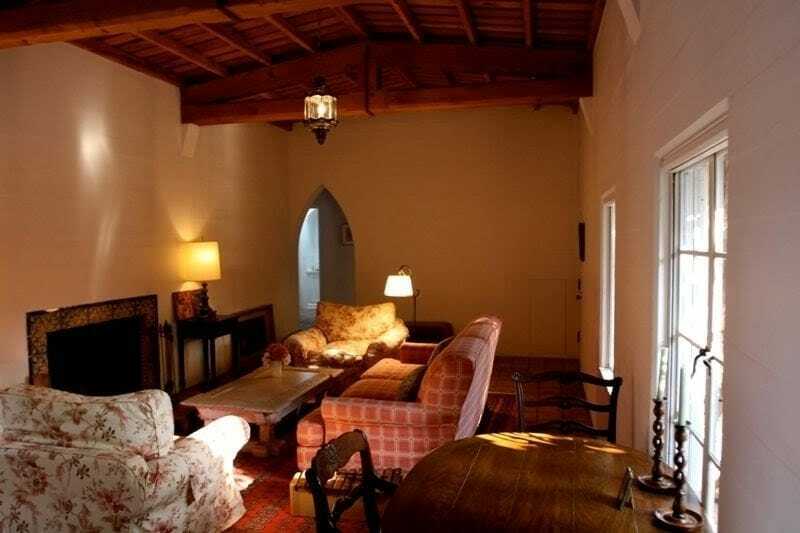 There is a fireplace in the room that probably helped the actress create a peaceful getaway when she needed a break. There are also doors that open into the patio courtyard and two large windows on either side of the bed to let light in. Unfortunately, this was the room where Monroe was found on the fateful day of her death. Similar to the bedroom, the home office also contains doors that open into the brick patio and pool area in the backyard. This is supposedly in true style of Southern California – it must have something to do with the beautiful weather there that people always want to have open homes where they can let in as much sunshine as possible. The blending of indoor and outdoor makes for a bright home and one can’t help but smile, Marilyn included, as she was constantly seen with a smile on her face. Feeling safe in your own home is crucial and it seems like Monroe also felt this way as there is a wall surrounding her property. While this isn’t necessarily an uncommon method of security, it does play into the idea that the home was her own little fortress. 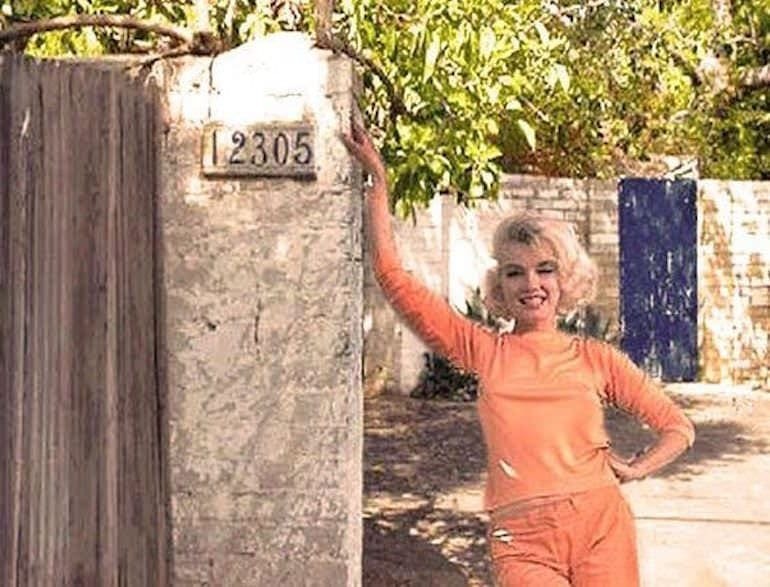 It’s unclear if the wall was for protection or privacy, but we certainly do hope that Miss Monroe was able to feel safe in her home and that she wasn’t scared to be without a barrier from the outside world. 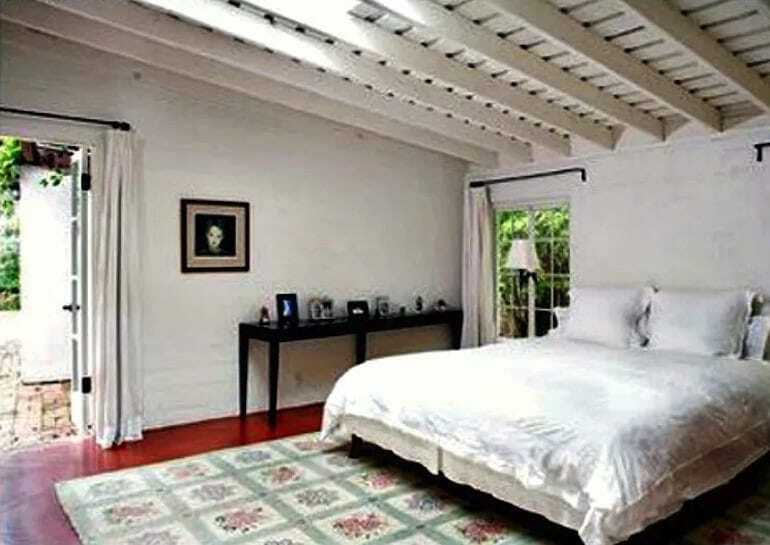 We have to admit it, this tour through Marilyn Monroe’s home is making us want to move in there. Imagine how nice it would be to enjoy a mug of hot chocolate or a cup of tea while sitting on one of those cushioned couches in front of that charming fireplace. It seems like a total dream. The dimly lit living room creates an intimate feeling of closeness and a little bit of light from the windows even peaks through during daytime. 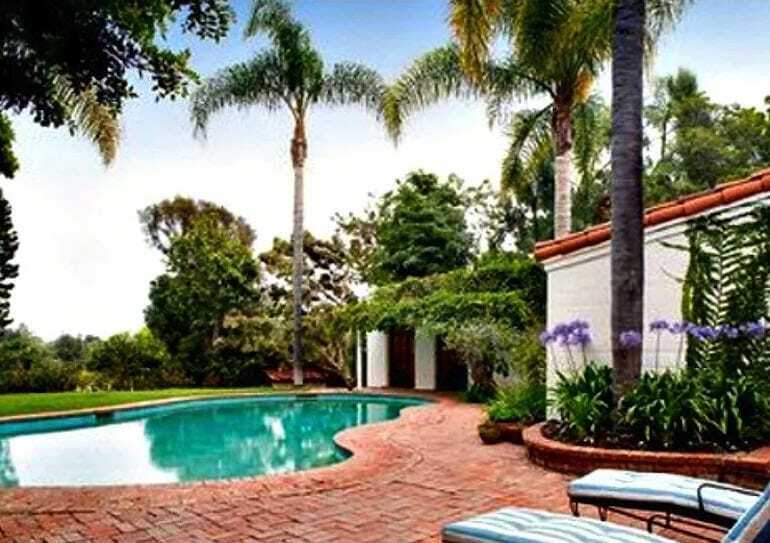 As we mentioned previously, there’ve been modern modifications made to the home, but it still holds it’s 1960s hacienda vibe that Marilyn loved so much. 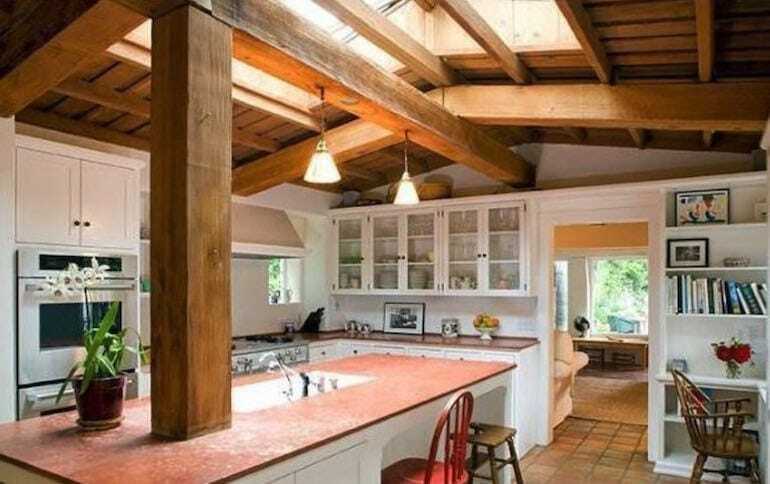 Here, you can see a perfect combination of wood, natural lighting through windows on the ceiling, white walls and the same reddish brown color for the countertops and island to match the bricks outside. It’s said that Monroe wasn’t much of a cook until later on and many of her recipes were found after her death. Marilyn was obviously a big fan of natural light through windows as opposed to filling her home with lamps or other light fixtures. She even had windows in her shower! 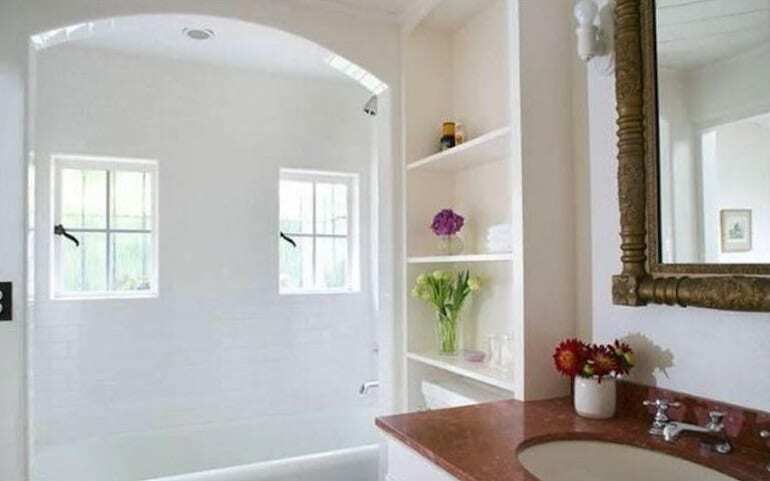 Whether this is the guest bathroom or her personal restroom is unclear, but we hope there were either curtains covering those windows when she lived there or that they were made out of one-way vision glass. What is interesting to point out, however, is the color of the countertops that match those in the kitchen. The gorgeous wood details that can be seen in the kitchen and living room continue into what appears to be a reading area. The bookshelves are stocked with many options in this cozy little nook and it looks like the perfect place to sit and relax with a novel. Perhaps that was one of Monroe’s favorite hobbies after kicking back by the pool. It’s fun to think what she did in each of these rooms and what they were intended for. As it turns out, Monroe indeed loved to read. It’s said, in fact, that she owned over 400 books and even had a personal library in her home. She was often seen with her head buried in a book; her favorite is the biography of Abraham Lincoln. He was her biggest male hero and she felt that she could really relate to him and that they were very similar. The actress was frequently seen carrying the book with her everywhere she went. 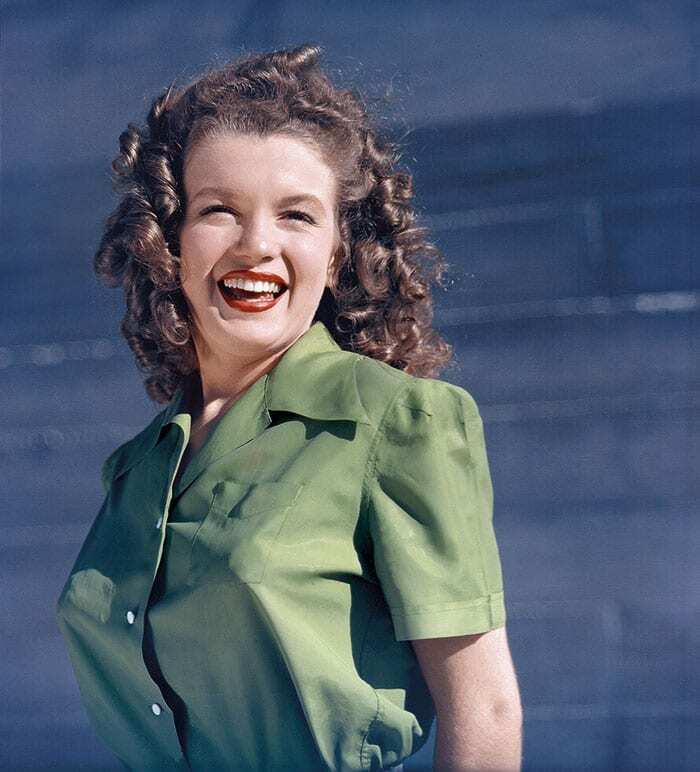 Despite her difficult upbringing and tough life, it seemed like Marilyn Monroe almost always had a smile on her face. To the outside world, she seemed to have the perfect life, but what went on behind closed doors could be what lead to her death. From her mother’s mental illness, to her severe anxiety, self-consciousness, and substance abuse, she did not have it easy. Her childhood is usually credited with the reason behind her emotional instability. It takes a truly strong person to keep a smile through it all. To this day, more than 50 years after her death, no one knows exactly what happened. Reports constantly completely contradict one another and even the cause behind her passing is debated. Some say the woman was depressed and took her own life, while others claim she was happy and getting her life back together – she was even in the process of remodeling her house. There are many conspiracy theories behind what exactly happened to Marilyn Monroe. There are so many stories that have been cooked up regarding the loss of the legendary actress. One is that she couldn’t handle the way her life was going and so she ended it herself. Another is that it was just an accident. Others believe that someone is responsible. One person in question is her doctor who is the one who prescribed Monroe with the pills she took the night of her death. People accused him of being irresponsible for allowing her to consume so much medication. Another theory floating around is that Marilyn Monroe was a communist or at least a sympathizer. 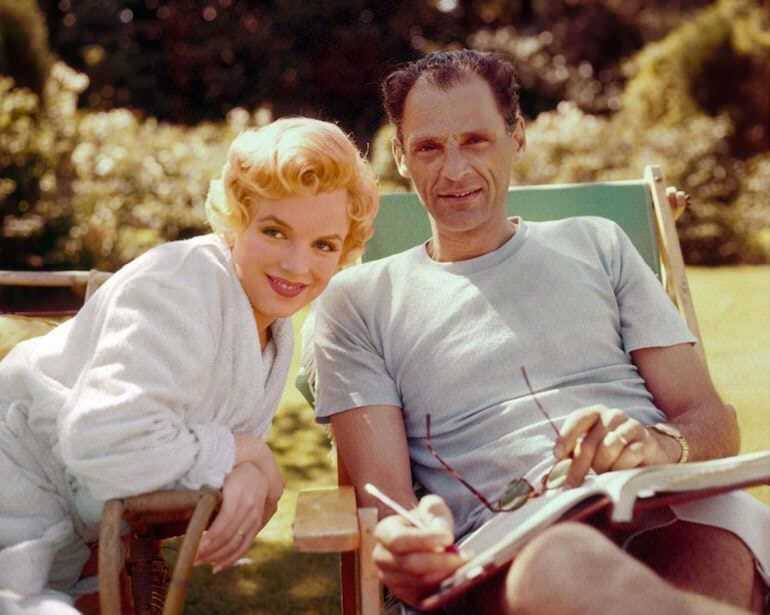 It was widely believed that her third husband, playwright Arthur Miller, was linked to the political party along with other people in Monroe’s close circle, including her doctors. This led people to think that she could have possibly been eliminated because of her connections. When new residents moved into her home, they found cameras and wires all over, but this was also suggested to be at the hands of the Kennedy’s. 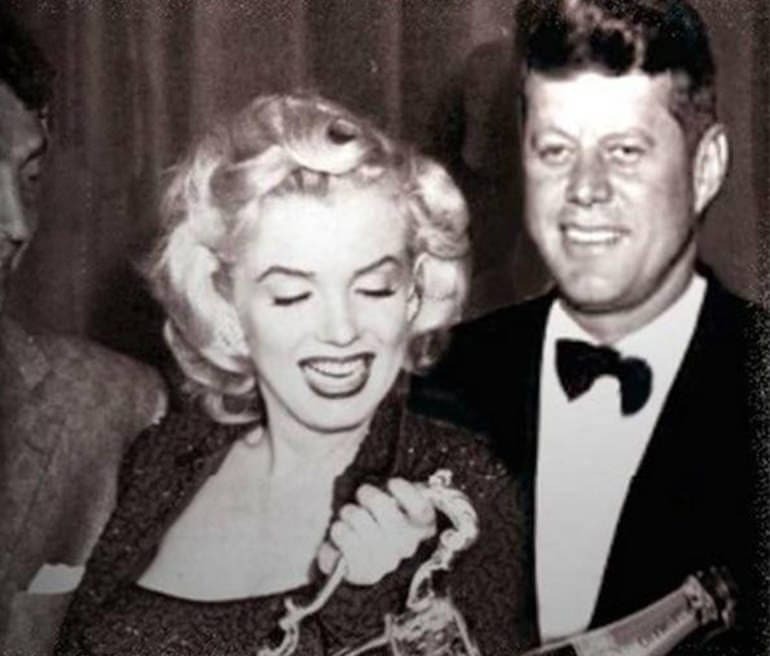 Aside from her three husbands, there are two men Marilyn is still linked to today. One of them is the late former President John F. Kennedy and the other is his brother Robert F. Kennedy, the late former U.S. Attorney General. 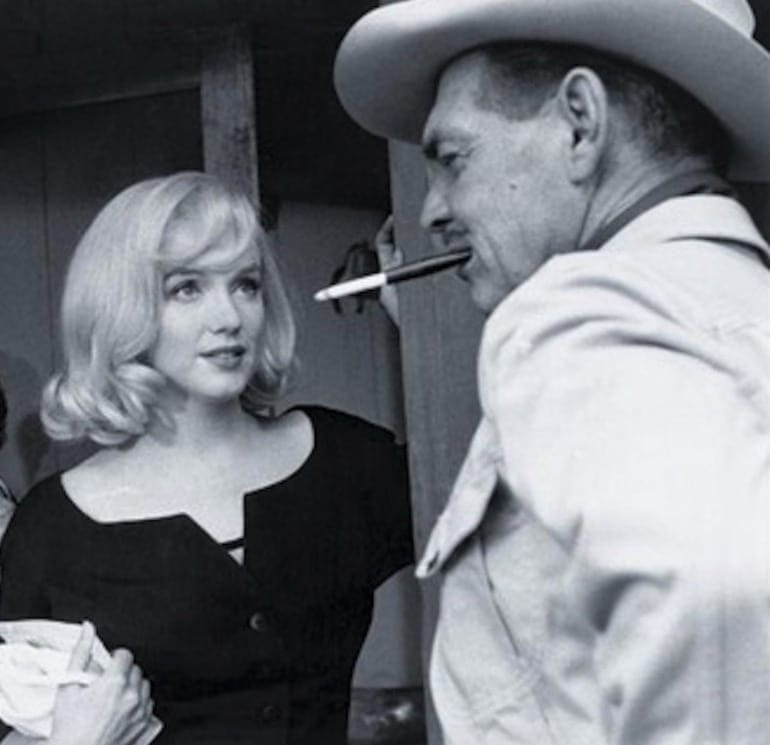 Even more than 50 years after all three of their deaths, there is still speculation that Monroe had affairs with both men. Because of this, conspiracy theorists believe they somehow played a role in her death, to protect their careers. Both politicians were assassinated in the ’60s. One of Marilyn Monroe’s most notable moments was in May of 1962 when she performed the Happy Birthday song in front of a crowded Madison Square Garden to President JFK. This was only a few months before her death and was an extremely controversial performance because of two main reasons: her alleged affair with him and the dress she wore. 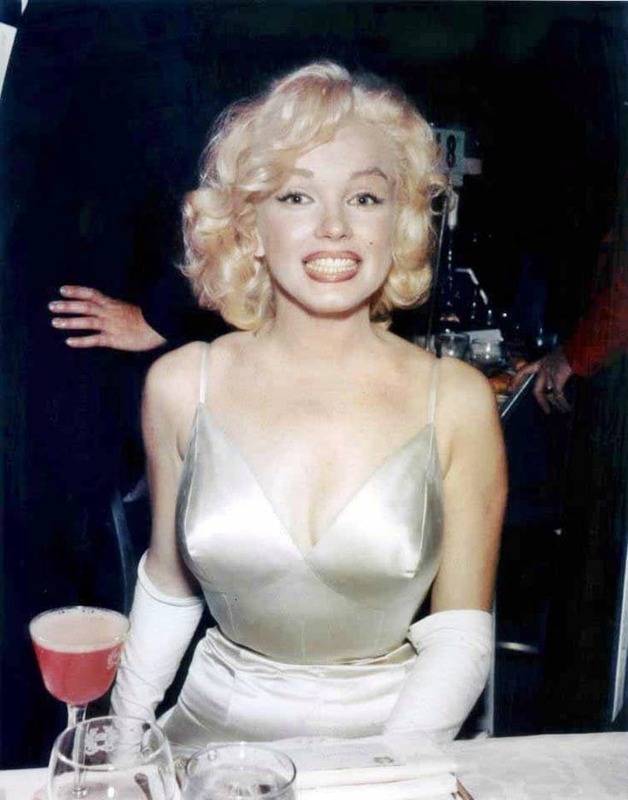 Monroe’s sequin, shear dress made her appear like she wasn’t wearing clothes. The gown was sold for over a million dollars years later because it was so iconic. Regardless of the facts behind her death, the great Marilyn Monroe will always remain one of the brightest stars in Hollywood. From her talent to her beauty and everything in between, Monroe is still remembered as an icon decades after death. Clearly people are still interested in the fascinating woman due to the simple fact that her house sold for so much and a dress that she wore for one night is one of the most expensive items of clothing of all time. As they say, the legend lives on. Marilyn Monroe became a household name and will probably remain one for the rest of the foreseeable future, even though she is no longer with us. 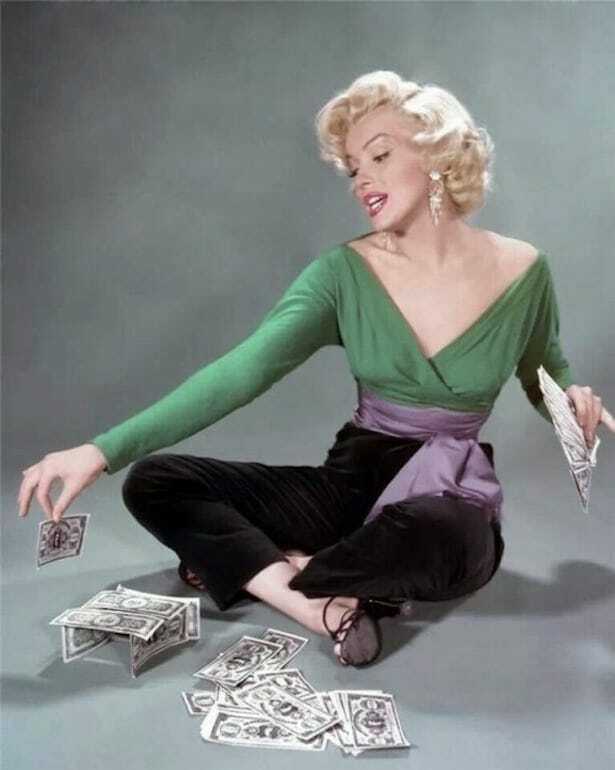 The company handling her estate estimates that to this day, Monroe’s net worth is consistently increasing by about $2 million each year – it reportedly went up by about $27 million in 2012 alone (the 50th anniversary of her passing). Something to remember is that Monroe was only paid $5 for her first modeling gig. At the time of her death, there was allegedly talks of Monroe and Joe DiMaggio getting back together. Supposedly the two had been reading poetry together in these days. 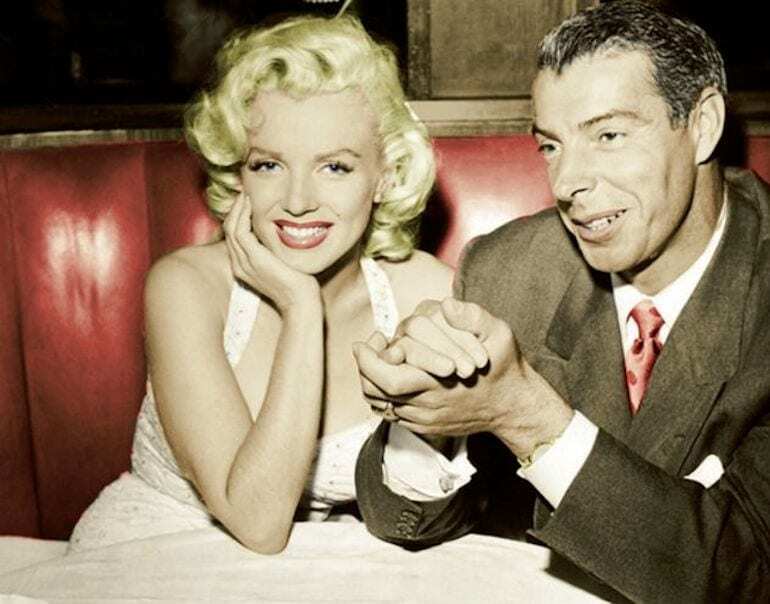 Even if they hadn’t officially rekindled their relationship (the two did not have the most stable marriage), it seems like DiMaggio had definitely rekindled his love for the starlet. For 20 years after her death, he had roses sent to her gravesite three times a week. If that isn’t endless love, then we don’t know what is. 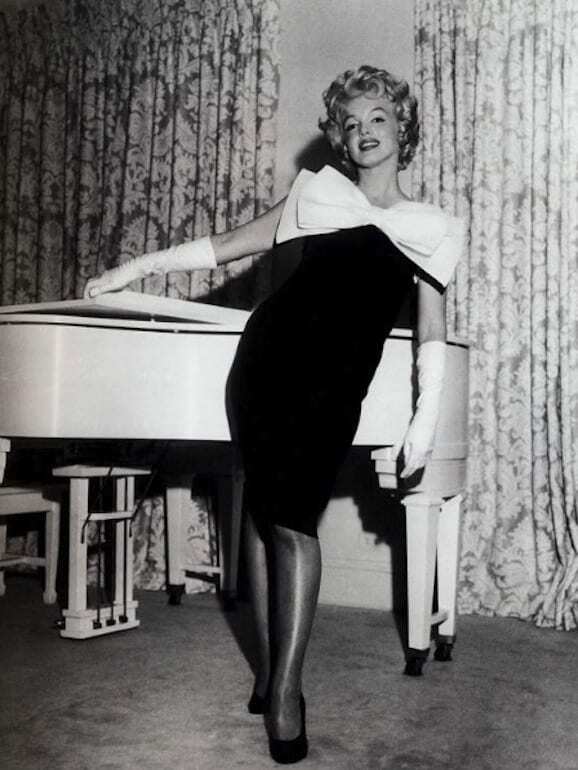 Marilyn has two specifically famous outfits: one is the million dollar studded shear gown that she wore to sing Happy Birthday to JFK and the second was the white cocktail dress that she wore in the film The Seven Year Itch. The late Debbie Reynolds actually had the dress in her possession for a while and decided to sell it in an auction in 2011 and it sold for $5.6 million. Another highly expensive item of Monroe’s was purchased for $662,500 by Mariah Carey: a baby grand piano. While nowadays we probably can’t picture anyone other than Audrey Hepburn playing the legendary Holly Golightly in Breakfast at Tiffany’s, but she was far from the first choice. 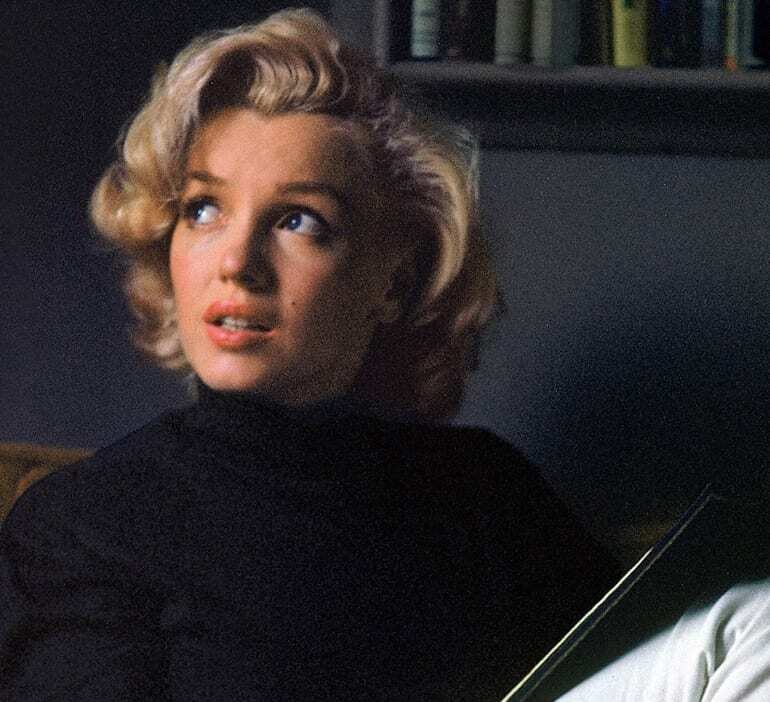 In fact, Marilyn Monroe was who writer Truman Capote wanted to play the character. He was actually not thrilled with Hepburn being the final actress for the film. Monroe actually did perform a couple scenes, but she was advised against the role because it didn’t fit the type of movies she normally did. Marilyn Monroe may be the stage name that she chose, but this was far from the only name the starlet went by. 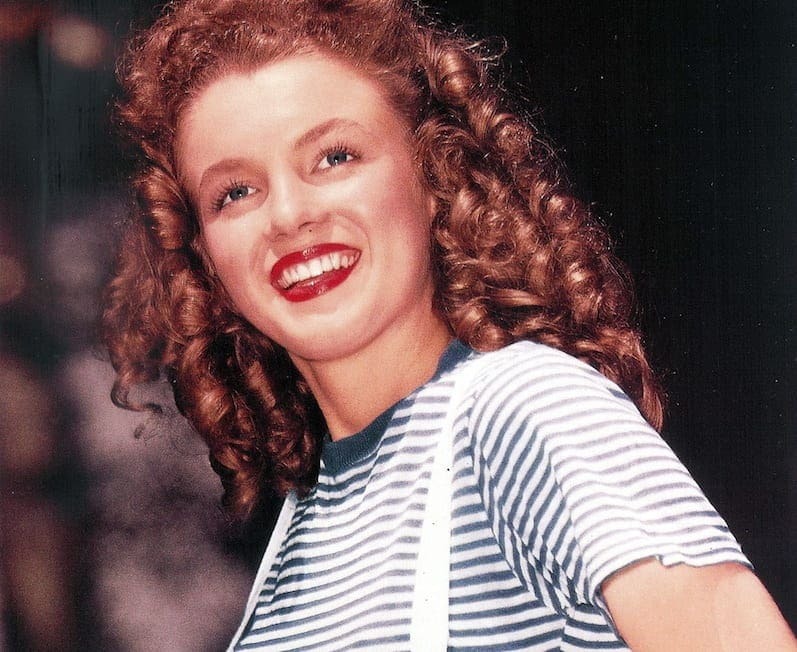 While we know her birth name is Norma Jeane Mortenson, she’d also been known as Norma Jeane Baker, Jean Norman, Mona Monroe, Jean Adair, Zelda Zonk. Eventually she legally changed her name to her stage name Marilyn Monroe (Monroe is her mother’s maiden name). When she signed her first autograph, she had to ask how to spell it because the name was so foreign to her. Even today, no one is certain as to who Monroe’s father is. It remained a big debate because there were a few possibilities. Even on her birth certificate, her supposed father Edward Mortensen’s name is spelled wrong (with an o instead of an e). Monroe believed when she was young that Clark Gable was her father and eventually she grew to have an intense crush on the actor. Sadly for her, her just wasn’t so interested in her. A song that Marilyn Monroe made ultra-famous was Diamonds are a Girl’s Best Friend. 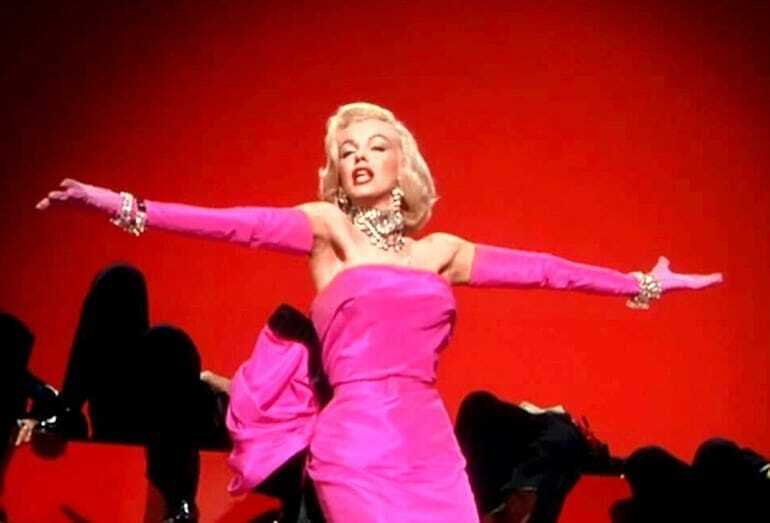 The song is originally from the Broadway musical Gentlemen Prefer Blondes, but it became wildly known after Marilyn’s rendition in the film version. Ironically, though she was a huge star, Monroe was not into fancy jewelry. As you can see by her home, she lived more of a modest life and only owned a diamond ring and pearls given to her by DiMaggio. All other jewelry was part of costumes. It’s a widely known fact that Monroe’s mother was mentally ill and institutionalized. There was suspicion back then and today that Marilyn may have also had mental illness. While it’s known that she had insomnia, depression, and anxiety, there are other illnesses that she may have had. Two that have come up are bipolar disorder and paranoid schizophrenia (like her mother). While two psychiatrists diagnosed her with the latter a year before her death, bipolar was just a theory created by people postmortem. A very unfortunate fact during the time of Marilyn Monroe’s fame is the mistreatment of African American’s. Marilyn wasn’t having any of this. She knew that Ella Fitzgerald was going to be a huge star and because of this, she demanded that she be able to perform at a club where she was banned due to the color of her skin. 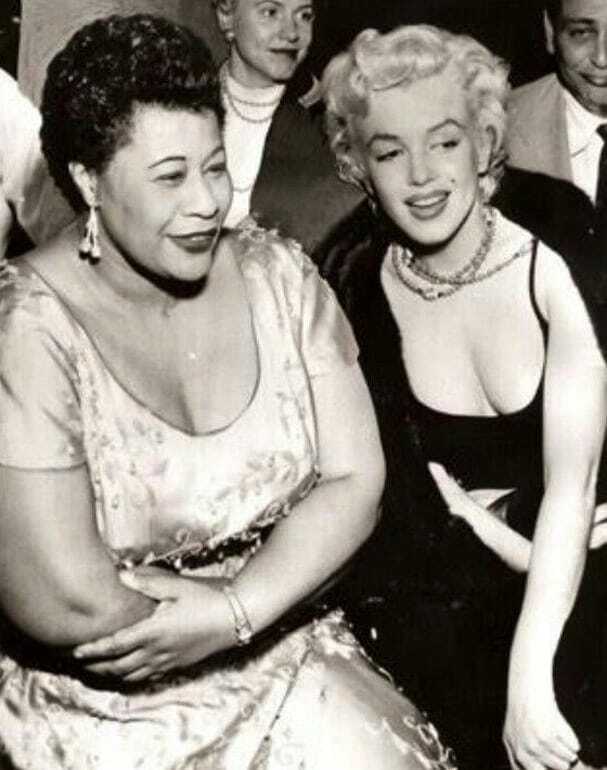 Monroe had to promise the management that she would attend shows and sit in the front row for a week before they’d allow Fitzgerald to perform. 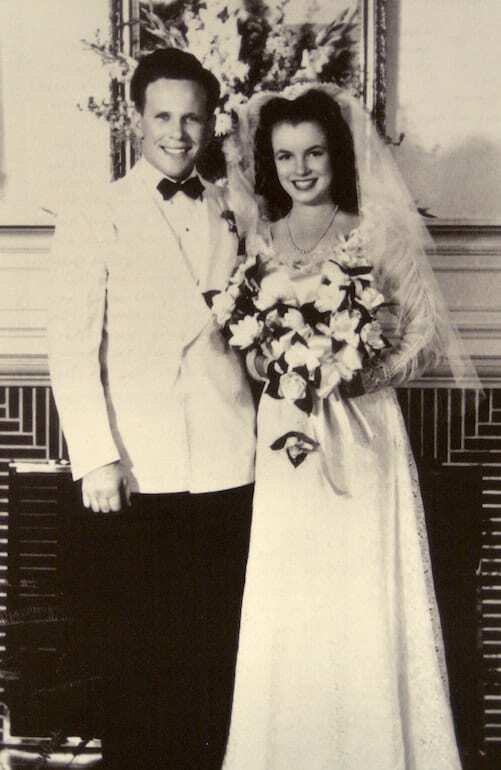 Marilyn Monroe was married three times and is said to have had many love affairs in her time. She did not, however, birth any children. Some may think this seems odd for a woman of her time (only nowadays is this becoming more common). Truth is, Marilyn did want to have children, and even tried to a few times. Unfortunately, due to health problems, she suffered two miscarriages and never carried a baby to term. 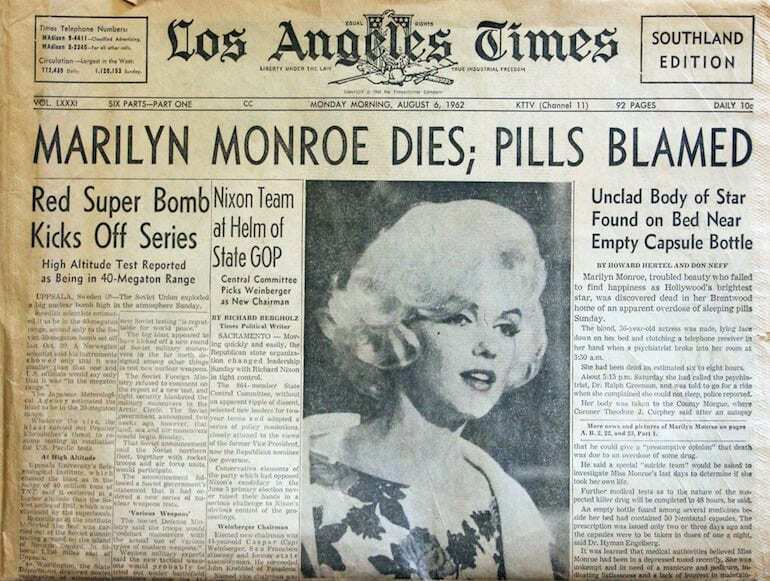 Perhaps this devastation was another factor that played a role in Monroe’s chaotic lifestyle.